Amazon 2015 was an eXXpedition mission aboard SV Sea Dragon sailing from Brazil to Guyana on the 3rd to 21st December 2015. Meet the team that made huge waves off the coast of South America and the mouth of the Amazon River! The applied research she conducted has been used by natural resource agencies to identify exposure and effects of pollutants at many levels of biological organisation from the molecular level to the population level. Much of her work has focused on the many environmental chemicals that affect the endocrine system of fish and amphibians and the adverse effects these chemicals have on reproduction. Diana has worked on projects on remote Pacific atolls contaminated with wartime legacy chemicals, the effects of industrial chemicals along the US-Mexico border, on small stream fishes affected by hydraulic fracturing in Kentucky, and the largest inland oil spill in the USA. Earlier in her career, Diana worked for the Arizona Game and Fish Department as a non-game biologist trekking into remote areas to study threatened and endangered fish species. Prior to that, she spent four years living in central México working at the orphanage, Nuestros Pequenos Hermaños, where she built a fish farm to feed the 1,000 resident children; she continues as an advisor on that project today. Currently, Diana works with Hughes Environmental Consulting, and with the non-profit E-Tech International as a technical expert assisting indigenous federations of the Peruvian Amazon in their efforts to remediate their seriously contaminated lands after 40 years of oil spills. In her work, Diana strives to explain the connection between human and wildlife health and the consequences of polluting the planet and to resolve environmental issues associated with natural resource use. She has authored or co-authored nearly 100 peer-reviewed publications and has presented her research at many national and international conferences. In 2014 she joined eXXpedition Atlantic from Lanzarote to Martinique: an inspiring 3-week trip that is guiding her shapeshift to an encore career! ERIKA likes to call herself an activist, environmentalist and happy designer. Erika believes that design is a new form of positive activism that has the potential to become a powerful tool to tackle environmental and social issues. She is driven by a real, genuine and strong motivation to develop design projects that can highlight existing problems and potentially solve them. While travelling in Asia she discovered for the first time the beauty of the underwater world and she completely fell in love with such splendour and peace. During these trips Erika could see closely the consequences of manmade actions to the oceans and how waste and plastics are now an integral part of such environment. She could not believe that such an important resource, which covers 70% of the world and from which people depend, is threatened and did not want to just stand and watch this new horrible scenario. With this research expedition Erika is hoping to develop a design project that can sensitise people in respecting the environment more, stop generating waste and ultimately, and most importantly protect the oceans and its wildlife. KATRINA currently farms using draft horses and ecological practices in Huron County, Ontario. Born and raised there, her love of nature was imbued from the get-go. Katrina’s passion for water and the aquatic world started in elementary school when she adopted a humpback whale in lieu of birthday gifts. She recently went a step further and became a PADI Open Water Scuba Instructor with Float N Flag, to share her awe, passion and love of the aquatic world with others. Committed to social justice, community building, and everything food, Katrina has worked in higher education, as a cook, in social change organizations, for governmental agencies and for businesses. With a focused interest in sustainability and building stronger communities, she keeps herself engaged by volunteering, travelling, running youth programs, cooking, and taking over her family’s farm. Her interests are eclectic and diverse, spanning from road tripping to quilting and she is rarely found without a cup of tea. She has a passion for extreme sports and enjoys skydiving, downhill skiing, scuba diving and motorcycles to keep her adrenaline pumping. Katrina holds a degree in Business and Non Profit Management from a small, liberal arts university where she minored in French. LISA is a proud eastern North Carolina native and she sees that with that pride comes responsibility to make sure the coastal community environment is managed in a sustainable way, while making the connection between the local economy and ecology. Born and raised on the water, she is an avid sailor, surfer, paddleboard yogi, beach sweeper, and scuba diver certified as a PADI divemaster. She specializes in coastal community environment resource conservation. Lisa works as a Solid Waste Assistant Director for local government (Onslow County, NC) with a focus on proper resource management at the coast including proper disposal, marine debris prevention and removal, environmental education, waste reduction, and recycling. Lisa also initiated and coordinates the NC Marine Debris Symposium and Earth and Surf Fest. In her spare time, Lisa writes conservation articles for Beach Carolina Magazine, volunteers for the local Surfrider Foundation Chapter, is a volunteer diver for the Pine Knoll Shores, North Carolina Aquarium, and fills in as needed as a PADI Divemaster at Olympus Diver Center in Morehead City, NC. Lisa has received several awards during her career, including the North Carolina Environmental Educator of the Year in 2011 and the Carolina Recycler of the Year in 2014. You can get involved and become an Ocean Advocate too by supporting Lisa’s GoFundMe Campaign here or keep updated with Lisa’s conservation mission across the world, over on her blog Coastinista – it’s a ‘must-read’ for anyone interested in our oceans. RACHEL has been interested in all things related to the water since a young age, being a competitive swimmer, a lifeguard, and then becoming a marine scientist. Rachel is from Montreal, Canada, but has spent the past ten years of her education traveling and working abroad, becoming fluent in four languages. With a background in marine science, she has taken every opportunity to travel the world to research all things ocean and scuba dive the world’s greatest sites. She has lived in Panama to study tropical biology at the Smithsonian Tropical Research Institute, volunteered in the Philippines to research Thresher Shark biology, and also in Ecuador to identify and protect Humpback Whales . 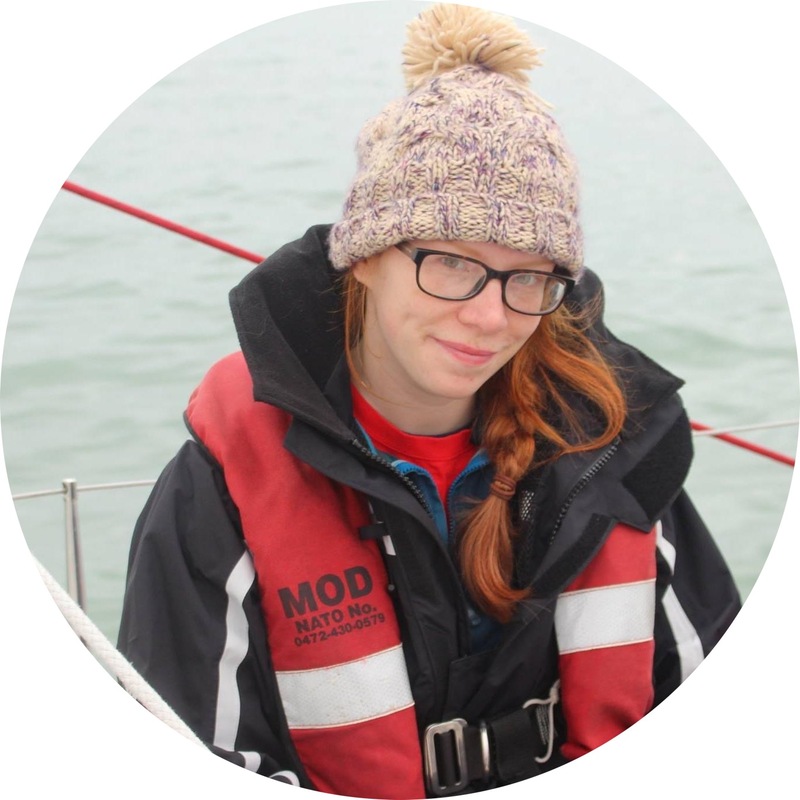 Rachel’s passion is to share her love for the sea with other people, and wants to bridge the disconnect between science and society. She has a BS in Biology from McGill University (2008) in Canada and a MS in Ecology from the Universidade Federal de Santa Catarina (UFSC) (2013) in Brazil. Currently she is working at Scripps Institution of Oceanography in San Diego, California and is the Development Coordinator for the non-profit Sylvia Earle Alliance Mission Blue. SHANNON has saltwater in her blood. Growing up in St. Mawes, Cornwall, she had the privilege of growing up on the water. An enthusiastic sailor, Shannon currently holds the title of Helms Woman 2014 at St. Mawes Sailing Club. “My drive for being on and in the water sailing and scuba diving, has pushed my obsession with being on and in the sea, therefore making me aspire to be part of protecting it”. Shannon is currently studying a degree in Natural and Marine Photography at Falmouth University, bringing together her love of the ocean by learning about science communication, through photography. Most recently she has been focusing on making short films that communicate the effects of marine ecotoxicology to a wider audience. From this expedition Shannon plans to write her dissertation on the sociology of marine ecotoxicology, which will in turn contribute as research for her final project which will include short documentaries that eXXpeditions can use as an educational resource, filming the expedition whilst on-board. Shannon’s goal is that her final film will be useful for eXXpeditions to use as, or as part of, the next documentary. STELLA is an Artist, Mariner and classic-boat restorer and lover of the mountains. Her hope for the upcoming eXXpedition is to become an ambassador for cleaner oceans around the world. Whilst sailing across the Pacific in 2014 Stella became truly aware of the consequences that our everyday actions are having on the planet as a whole and she realised that she must help to create change. In Stella’s practice as an artist and print-maker, she seeks to create a sense of immersion for the viewer, to draw them into a feeling or atmosphere emotive of new ways of thinking. Previously, a central theme in her practice has been the progressive relationship that humans have with the natural world and Stella’s work has explored the precarious balance between natural systems and our own man-made ones, seeking to demonstrate the fragility of our existence. As Artist in Residence for eXXpedition, Stella is excited to share her vision for a cleaner world through the eyes of her artistry. Once on board Sea Dragon, it’s Stella’s aim to produce ways to visually process and communicate the data that will be collected to a wider audience, in particular future generations. She also hopes that through creativity we are able to find beautiful and practical means of navigating around the everyday use of plastic in our lives. Stella passionately believes that it is only by raising awareness of the unseen effects of toxins and micro-particles on both our bodies and the environment that we can hope to generate discussion and change around the topic. Watch this space for more from Stella as she becomes inspired by the wonders of the blue and get behind her CrowdFunding campaign for her place on Amazon here. TANIA works as a Creative Director, Artist/Designer, Professional Photographer, and Environmentalist. Tania grew up in Norway with an active lifestyle from the ocean to the mountains. Skiing/snowboarding, surfing, diving, paddle boarding, and sailing to travelling around the world, Tania has a spirit for adventure and thrives on challenges. While working on her anthropology dissertation with Bedouins in Sinai, Egypt, Tania was inspired by their respect for nature. There, she was introduced to the Red Sea Diving College, which sparked her enduring passion for diving and underwater photography. Her photographs from this experience have been exhibited and sold at well-known galleries in London. Tania has worked with Smithsonian ocean research expeditions in South America. From the density of the jungles in Guatemala, to the depths of the sea bordering Belize, Tania participated in studies focusing on ocean pollution, learning about the challenges of nature in the wake of human consumerism. Her Masters of Art in Photography dissertation was based on imagery expressing the ‘The Means of Consumption,’ using art to visualize patterns of waste disposal problems, specifically ocean waste. This inspired her to found the Norwegian based non-profit organization Sea Sick Fish, focusing on ocean waste solutions and biodegradable packaging. Her fascination with the effects of waste and pollution on ocean species has galvanized her to work extensively with a variety of projects for community sustainability, education, recycling, and consulting on ocean-friendly product development. Tania is also presenting and sponsored by The Cup, creating awareness for the amazing natural reusable Menstrual Cup helping girls in poverty with their hygiene and female sanitation. Many poor young girls miss school or drop out due to their periods, ending up finding solutions that become infectious or harmful. The Cup is healthy for your body and also reduces excess non biodegradable plastic additives in tampons and pads ending up in ocean. Tania will be educating women and girls about the cup at schools and in villages along the way. Tania combines creativity with science, and passion with cause in all of her endeavours. Her goal for eXXpedition Amazon 2015 is to be inspired to develop innovative waste solutions and strategies and document the trip with her unique photojournalistic style. In every day life, Tania can be found surfing, hiking, running, practicing, yoga, cooking, or canoodling with her dog, Tara. SARAH first fell in love with the coastal waters of British Columbia when she was eight and spent the summer with her family lighthouse keeping on Bonilla Island, located in Hecate Strait about 50 miles south of Prince Rupert. It was here, roaming the beaches, that she discovered the incredible biodiversity that can exist when ecosystems are left undisturbed. She would watch keenly and help as the lighthouse keepers took their readings and measurements. The experience remains a reminder of the rich splendour that the ocean has to offer. Fast forward and for the last twelve years Sarah has lived on Quadra Island, part of the Discovery Islands off the inside coast of Vancouver Island. Sarah works from home as a Jane-of-all-trades; raising her two daughters, 6 and 8, part-time home-schooler, sitting on multiple community boards, driving tractor trailers and answering phones for the family business. For fun she loves to be outdoors. As a triathlete, she prefers open water swimming because it is so liberating and there is always so much to see happening under the water. An extroverted personality type, Sarah loves being around others and collaborating on ideas, always willing and ready to brainstorm, explore, expand and discover new ideas, concepts, and ways of seeing the world. BARBARA graduated in Biological Science, has a Masters in Bio-Medicine, a PhD in Microbial Ecology and I she is currently a research fellow at the Hawkesbury Institute for the Environment (HIE). HIE’s diverse portfolio of research is renowned to bring excellence to decision-making in natural and managed ecosystems centring on ecosystem functioning in Australia and internationally. In a changing world, Barbara aims to understand the effects of rapid change in altered ecosystems and on the communities of living organisms ranging from the smallest microbes to the tallest forest trees. On the Sea Dragon research vessel, she will use an automated microbial sampling and communication device (OSMO) developed by Indigo V Expeditions. The Indigo V Expeditions is a multi-national scientific and sailing initiative based that aims to gauge the health of the worlds’ oceans by taking water samples and looking at the relative health of the microbial communities in that sample. Since 2013, Indigo V Expedition is effectively crowd-sourcing the collection of oceanographic data by harnessing the existing fleet of private sailing yachts. Their work has been awarded by the UNESCO, NBC news, Australian Research Council and presented in the most prestigious venues around the world. The data collected by Barbara in the Amazon eXXpedition will be coupled with the ones collected by Indigo V Expeditions across the Atlantic and Pacific Ocean and the Amazonian terrestrial ecosystems. ANA is an Energy and International Lawyer and a Law Lecturer at the University of Dundee. She advises governments, financial institutions and companies around the world on EU law, International law and Energy law. Having worked for a decade for the large US and UK law firms she set up her own law firm in London eight years ago. Unlike traditional law firms Ana puts teams of lawyers and other experts together to create tailor-made teams for each specific project. Her practice spans the EU, Eastern Europe and CIS countries. She has worked in Africa in the past as well. Ana has been passionate about Gaia ever since she studied tree dieback in Central Europe and the effects of the raise in sea temperature on marine plankton in the Gulf of Trieste at the United World College of the Adriatic. She loves sailing scuba diving and hiking in the mountains. She is a trustee of Resurgence/Ecologist magazine. Ana has been fascinated by the Amazon since she was a little girl watching David Bellamy’ s nature programmes. She wanted to grow up being just like him. She was reading Jay Griffiths book “”Wild”” when she learned about the eXXpedition. She immediately applied and could not believe her luck when she was selected. Having spent all her summers in the last decade on a remote island off the Dalmatian coast of Croatia which was littered in plastic and other rubbish she has become acutely aware of how polluted the world’s waters are. The trip to the Amazon will give Ana an opportunity to study the issue of water pollution first hand. Ana hopes to use this first-hand knowledge to help draft international treaties and domestic legislation to better regulate the production, disposal and reuse of plastic.